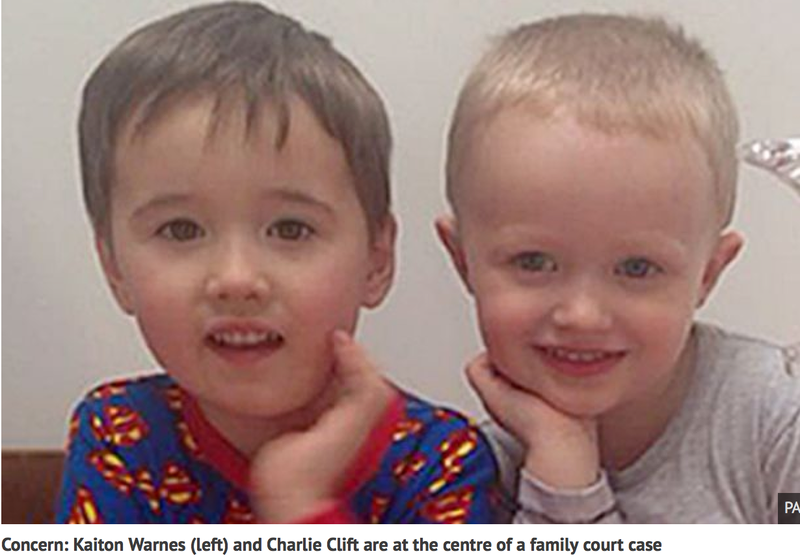 A judge took the unusual step of naming wards of court Charlie Clift, five, and Kaiton Warnes, two, to encourage the public to help with the search. Two young boys involved in a family court case are feared to have been unlawfully taken to Cyprus by their mum. Charlie Clift, five, and Kaiton Warnes, two, are believed to be in the northern area of the country, which is occupied by Turkey. The authorities say they were taken from Britain by their mum Amelia Warnes, 23, and her partner Jason Warnes, 26, who is Kaiton’s father. Both boys were the subject of child protection plans and are wards of court. In an unusual step, a top judge has given permission for lawyers to reveal the boys’ identities in the hope that publicity will help find them. Lawyers representing Charlie’s father Dominic Burt, 25, and his county council say he has not seen his son in months. They claim the youngster has been “abducted” from Britain. Details of the case emerged during private family court hearings in London on Thursday. Carpenter Dominic, of St Leonard’s, East Sussex, has told lawyers his son Charlie loves “dressing up in Spider-Man and Batman outfits” and ”eating cheese“. He provided the court with a photograph of the boys in the hope that they will be spotted by the public. The pair are believed to be staying in Lapta, North Cyprus, where Jason is said to be working in the hotel industry. This entry was posted in Uncategorized and tagged Abducted Cyprus, Abducted Turkey, Amelia Warnes, Carpenter Dominic, Charlie Clift, Dominic Burt, Jason Warnes, Kaiton Warnes, Lapta, Parental Abduction, Parental.Kidnapping, Turkey Kidnapping. Bookmark the permalink.